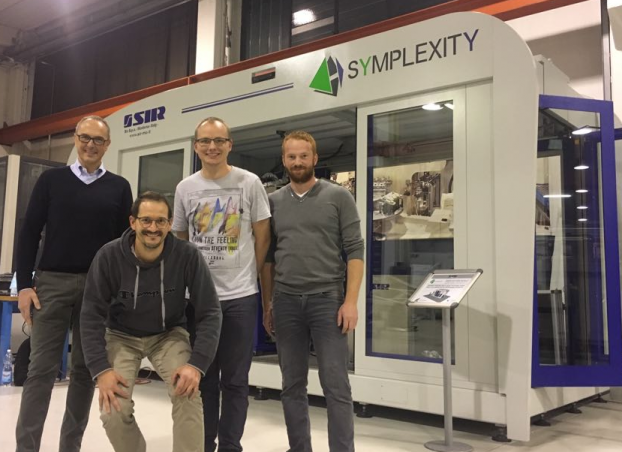 During 6-10 November 2017 SYMPLEXITY partners from Aalen Unviersity visited SIR in Modena, Italy to integrate the fluid jet process into the SYMPLEXITY cell and to make the first cell trials using this process. On 9th November, Mr. Romagnani from Romagnani Stampi also visited SIR to see the first abrasive finishing results and to evaluate the results of the first fluid jet polishing trials. The results of the both trials are successful, which allows us to proceed to the next step.